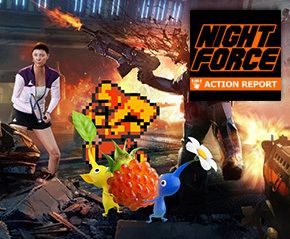 Aaron and Justin coast along through painful goodbyes to bring back the Night Force. Aaron with his Pikmin and his criminal ways. Justin with his Alien Rage and Russian strong men. It’s the big beefy podcast that you all deserve.